When considering places to live in Alberta, there are a number of popular cities to decide from: Calgary, Lethbridge, Edmonton, etc. 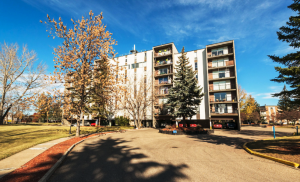 But if you are looking for one of the newly upcoming and popular cities to reside that is still on the smaller side, then you’ll love to rent in Red Deer! This city has been around for over 100 years and is slowly becoming an increasingly desired place to reside. The city was incorporated into Alberta in the year 1913 and has continually been growing to improve the area and the lifestyle of those in the community. 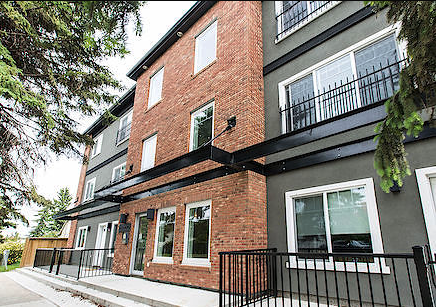 If you are looking for a place to rent in Alberta, why not the scenic city of Red Deer? Not sure where? 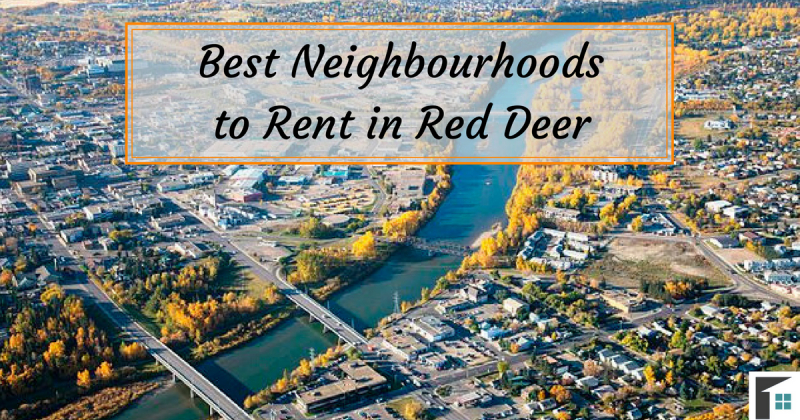 Here are the best neighbourhoods to rent in Red Deer! For those looking to live close to the hub of the city and be near the buildings and businesses, the Red Deer downtown area is the best place to rent! Home to numerous companies of all sizes, the downtown neighbourhood is continually growing! Unlike many other city cores in Alberta, the Red Deer downtown area is an affordable place to live. Because the area has not yet expanded to its full potential, the opportunity to live in the city center is still reasonable. There are currently 9 rentals available (with more expected as the city develops further), with an average listing price of $834. Known as one of the more popular residential areas, the neighbourhood of West Park has ever-increasing potential. Currently the area is undergoing a redevelopment plan that will enhance the already-existing attraction of the neighbourhood’s features. Among the residential homes are plenty of trees and parks, giving each home a picturesque scene. This area is perfect for families with children, teenagers, and young adults as there are a number of schools in West Park. Additionally, the West Park neighbourhood is just north of Red Deer College. 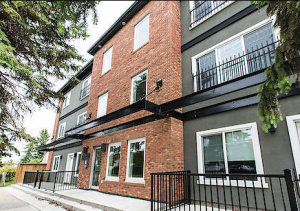 Because of the popularity and accessibility of the neighbourhood, it is one of the more expensive places to rent in Red Deer. The area currently has 10 rentals available with an average rental price of $1,353. If you are looking to rent in Red Deer and desire a neighbourhood that is quiet and peaceful, Sunnybrook is just for you! The homes in this southern area have more privacy than other areas in Red Deer and allow for more space. This older neighbourhood is beautifully located next to plenty of green space that surrounds Piper Creek. The neighborhood is also home to a few schools and museums, such as the Sunnybrook Farm Museum, which offers a historical experience, day camps, and other programs for children. There are currently 5 rentals in the Sunnybrook neighbourhood with an average rental price of $1,483. If you are seeking affordable living with close proximity to downtown businesses, then Parkvale may be just the neighbourhood for you. Said to be the oldest residential neighbourhood in Red Deer, the Parkvale community is surrounded by parks and rivers. The community was originally known as ‘Parkvale Estates’ and was developed in 1905. One of the biggest attractions of this area is the Rotary Recreation Park, which offers access to a number of sports (including ice skating, tennis, etc.). This affordable area is continually being enhanced by the Parkvale Community Association, who strives to preserve “the quality of living and the historic character” of the neighbourhood. There are 4 rentals available to rent in Parkvale, with an average listing price of $700. The wonderful neighbourhood of Highland Green is located in the central-north part of Red Deer. 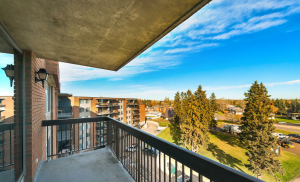 This is a popular area to live with its close proximity to the downtown core – ideal for a quick commute to work. As well, the Highland Green neighbourhood is home to the GH Dawe School and Community Centre for those moving with children. The area has access to various restaurants and stores and is located right next to the popular and shop-filled neighbourhood of Highland Green Estates. Highland Green has 6 rentals currently available with an average price of $1,054. Located just east of Highland Green is the neighbourhood of Highland Green Estates. This area is popular for young couples or small families. The area has access to a number of different types of homes and is split almost 50-50 between renters and homeowners. If you are looking to rent in a Red Deer neighbourhood that has access to plenty of amenities, Highland Green Estates is perfect for you. This neighbourhood is located right beside the Parkland Mall, which has over 100 different stores and shops. Currently, the Highland Green Estates has only 1 rental available at the moment with a price of $1,295. The stunning neighbourhood of Pines resides in the northernmost part of the city. Located to the left of the Red Deer River, this area is thriving with green spaces and beautiful river views. As the name of the community suggests, the area is surrounded with a tree-filled landscape and scenic residential areas. 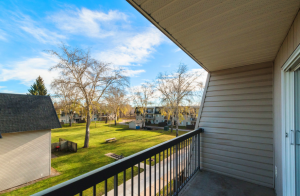 It can be expensive to own (depending upon the location), but if you are looking to rent in Red Deer, Pines is a wonderful and affordable area to live. 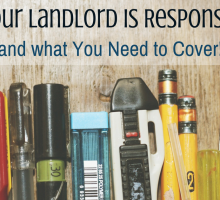 There are currently 8 rentals available for an average rental price of $1,084. Of these home rentals, most are apartments, but some house rentals are available. Located in central Red Deer is the neighbourhood of South Hill. This community is known for its access to a number of greenspaces and is tucked between the Waskasoo Creek and Piper Creek. Gorgeous hiking trails and walking paths can be found within the area, including the family-friendly Kin Kanyon. In addition to having homes close to nature, along 50th Avenue is a wide selection of shops, restaurants, and other amenities. 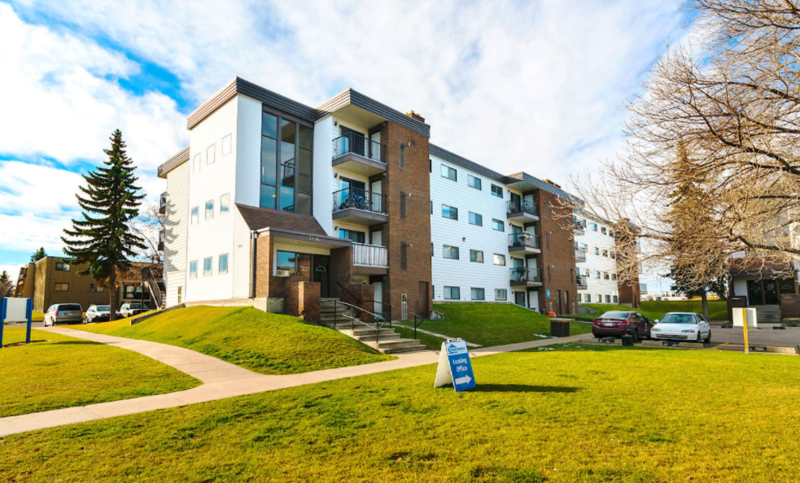 The neighbourhood of South Hill is one of the most popular to rent in Red Deer, with 25 rentals currently available on Rentfaster.ca with an average price of $1,022. One of the best southern neighbourhoods to rent in Red Deer is the community of Forth. This neighbourhood is filled with plenty of things to do: fast food chains, family restaurants, the Bower Place shopping mall (featuring 120 stores), grocery stores, and more! 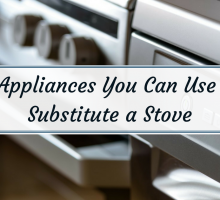 This area is perfect for those looking to stay busy! It is also an excellent location for students as the Red Deer College is only a 10-minute drive west of the neighbourhood (or 15-minute bus ride). There are currently only 5 rentals available with an average price of $1,093, but more are expected as the area expands. Located north of the Red Deer River lies the neighbourhood of Riverside Meadows. For those working in the city central, the community is a fast 5-minute commute to downtown by car (about 20 minutes by transit). The area is filled with mainly apartment buildings and duplex homes, but some detached homes are available. This neighbourhood only consists of residential buildings and does not have any local services or amenities in the immediate area. Despite not having anything within the community, everything needed by residents can be found in the stores, shops, and restaurants in surrounding neighbourhoods. Rentfaster.ca has 9 available rental listings in this area with an average price of $1,071. 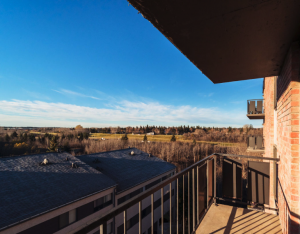 If you are looking for a beautiful city to move to, that has access to green spaces, public areas, and local businesses, consider moving to Red Deer! This constantly growing city is becoming more popular and people are recognizing the city’s amazing potential. 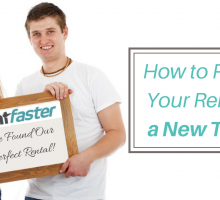 Head to Rentfaster.ca for more details on the available listings to rent in Red Deer and find your perfect home… faster!